By the 1850s Manchester benefited from an extensive railway system converging on the centre from all directions. In conjunction with the earlier canal network it conveyed the needs of the industrial town and city. Railways attracted extensive investment and their owners and supporters had the financial means and political influence to make significant changes to the layout of the city. In the north-east corner of the city, the Lancashire and Yorkshire Railway Company [L&YR] had earlier built Victoria Station and importantly for the Watch Committee, utilising the eastward Liverpool and Leeds lines, built a large goods marshalling yard and warehouse distribution centre between Oldham Road and Rochdale Road, on the site of the original goods train station. [see Fig 9 below]. Figure 9 L&YR yard maps showing extension of marshalling yards from 1847 -1900. Oldham Road PS was in a perilous state by 1852 and the expansion of the L&YR marshalling yard with its impressive potato and goods distribution centre with road links along the Oldham Road, enabled the WC to trade the old station site for the funds and land needed to build a new station off Livesey Street. [see Police Estate / Oldham Road PS and Livesey Street PS pages]. However Livesey Street PS was a significant walking distance for the foot officer patrolling the Angel Meadow or Great Ancoats Street, New Cross beats. So Swan Street PS maintained its primary operational importance for the constable and prisoners detained nearby were removed there instead. Figure 10 L&YR potato sheds on Oldham Rd. Fig 10 Looking north-east up the Oldham Road at the L.&Y.R. potato sheds and where the Oldham Road Lock-up stood previously. Police stations and station-houses in blue. Road and place names in red. Overlayed on the Kelly's 1913 tram map to show major roads as tram lines. Courtesy of Manchester Historical Maps. The increased pressure on the police from the occupants of the slums and poorer housing required operationally the police stations to be situated in their midst. This was arguably to the detriment of the wealthier emerging suburbs along the arterial roads especially on the east side. Such villages or districts, in the farther reaches of the 1838 townships, could be an hour’s walk away from the station significantly reducing the patrol time of a two or three hour beat once an officer reached there. Their residents however were influential and the WC minutes include letters and memorials imploring the provision of their own officers working from nearby police stations. Residents for example in the Harpurhey township had been ‘praying for the establishment of a lock-up in that vicinity’. By 1849 the middle-class residents of Cheetham Hill had petitioned the WC for their own station house as it was unacceptable for the constables to walk a distance of two miles from Oldham Road PS. However suburban areas did not require the fortresses of the working-class districts. Therefore the WC rented substantial double-fronted houses mainly on the high street for rents significantly less than the costs of the larger stations. These costs were reduced even further once a sergeant and constables were living there and charged a reasonable rent. The WC minutes note that the cost of these station-houses could be provided at 'a very trifling cost to the Borough'. An added bonus was the significantly reduced beat time, a clear operational advantage - a matter the HMIC was keen to challenge if found to be excessive (over 3 hours). These station-houses were not initially provided with cells but it would not be long before that need was recognised and met. 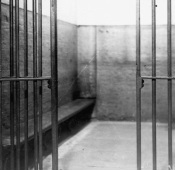 One station that was designed with cells from inception was Livesey Street PS in 1852. 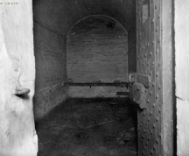 However that was an 'inner district' station and the direct replacement for the Oldham Road lock-up where significant cell capacity was an essential requirement. The next phase from the 1860's would see the provision of cells in the outer districts station-houses, coupled with the continued outward expansion of the working–class districts and a major increase in the police estate. Watch Committee Minutes 6 February 1851 & 7 August 1851. The Bough Police Act of 1856 had authorised the payment by HM Treasury of a quarter of the cost of the wages and clothing of the police force, if certified by the Secretary of State via the HM Inspectorate of Constabulary as there being efficiency of numbers and discipline. This was for towns exceeding a population of 5,000. 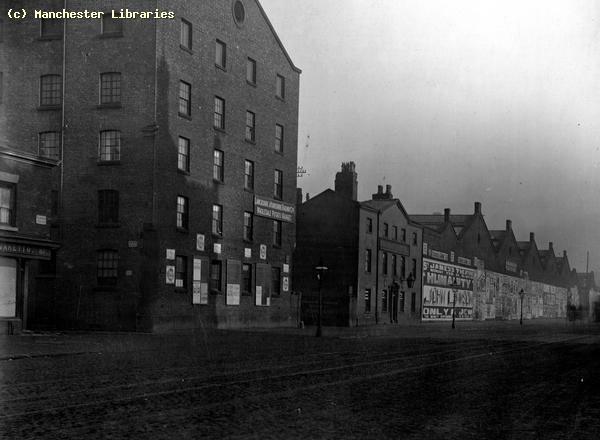 The population for Manchester was given as 337,915 in the WCM 3 Dec 1857.